Kismet is (c)2002-2017 Layla Lawlor. Personal, nonprofit use of any content on these pages (e.g. icon-making) or creation of fanworks is perfectly fine, though credit and a link back is always most appreciated! The current graphic novel Sun-Cutter updates on Mondays. Read archive. About Kismet - For new visitors. The Comics - Long and short comics in chronological order; the recommended one to start with is Hunter's Moon. Short Stories - Short fiction in the Kismetverse. These may contain non-canonical elements; the comics are the primary canon. Characters - The people who live here. Kismet Patreon - Updates, discussion, and an opportunity to support the comic. 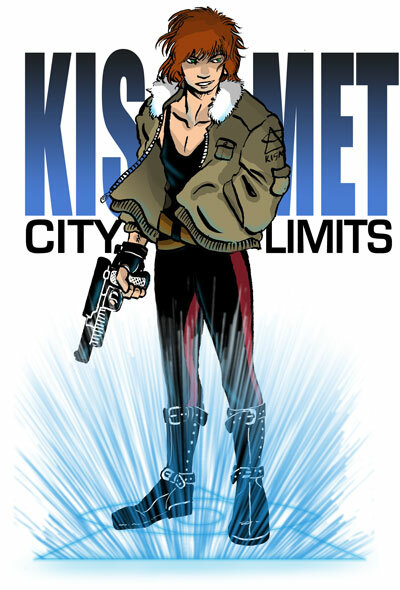 Kismetcity on Tumblr - News, info, Kismet art, etc. Laylalawlor.com - Hub site for all my projects.